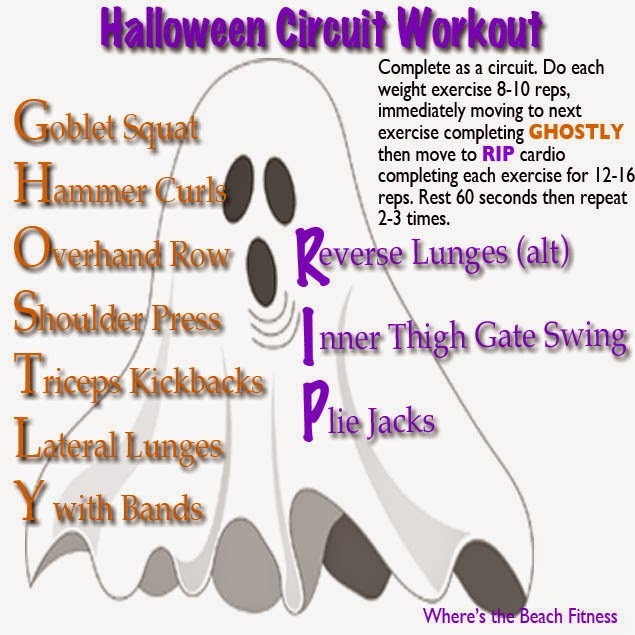 Do each of the GHOSTLY weighted exercises for 8-10 reps moving quickly to the next with little rest. Once you complete the weighted exercises, move to the RIP cardio intervals completing each exercise for 12-16 reps moving quickly to the next exercise with little rest. Once you have completed the cardio exercises, rest 60 seconds then repeat 2-3 times. I love this. I am going to be switching gears in the next few weeks. I am planning to head back to the gym to focus more on strength training/rehab, so this is perfect!